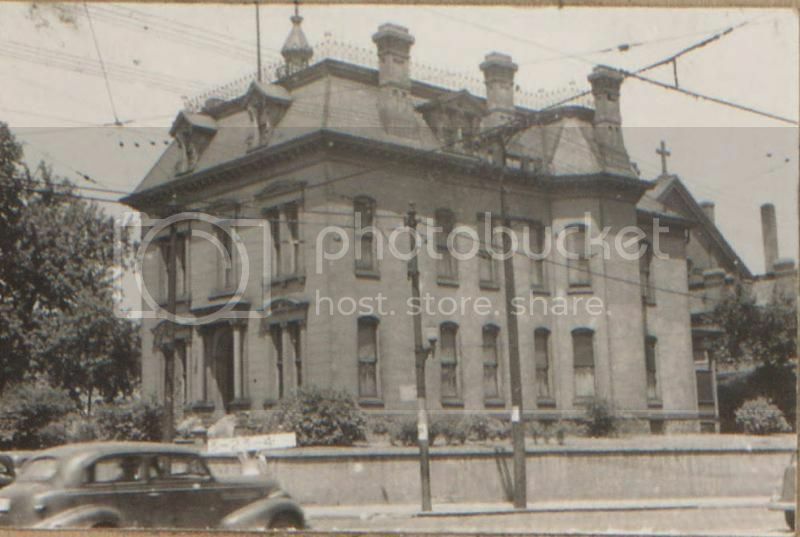 Below is the 1940 tax assessment photo of the residence that used to be on the NE corner of 12th and Washington. The Cathedral Square tower is now there. The house was originally the Victor Buck residence, and the first home in Kansas City to have an elevator. It later became Dr. C. H. Carson's Temple of Health. 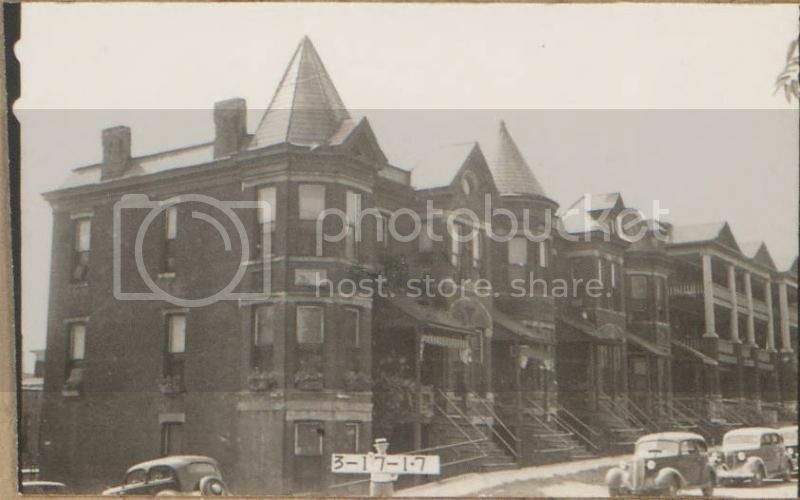 The 1940 tax assessment photo showing Victorian era row houses on the SE corner of 9th and Pennsylvania. The site today is a parking lot. The Rockhill Theater at 4608 Troost Avenue. Image is from 1940 Jackson County tax assessment photos. 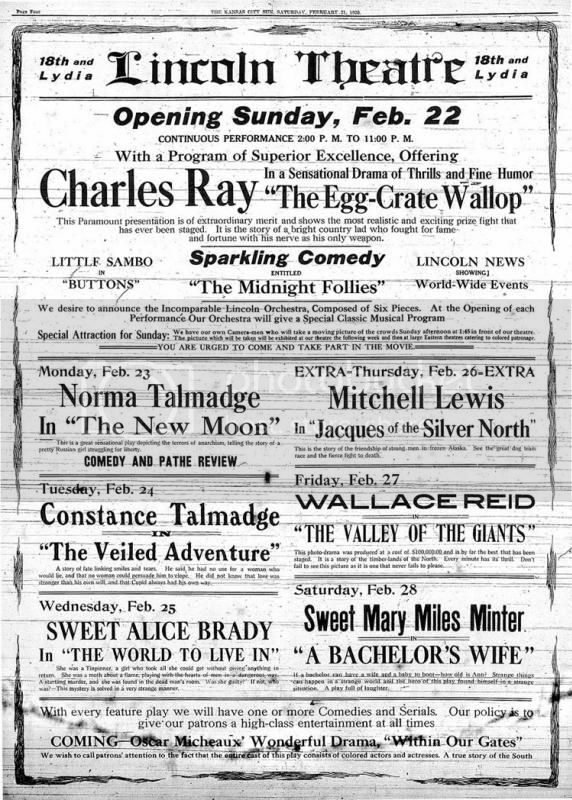 The theater opened in 1923, and had 1427 seats. The Lyric Opera first performed at the Rockhill Theater until it was gutted by fire in the late 1960s. 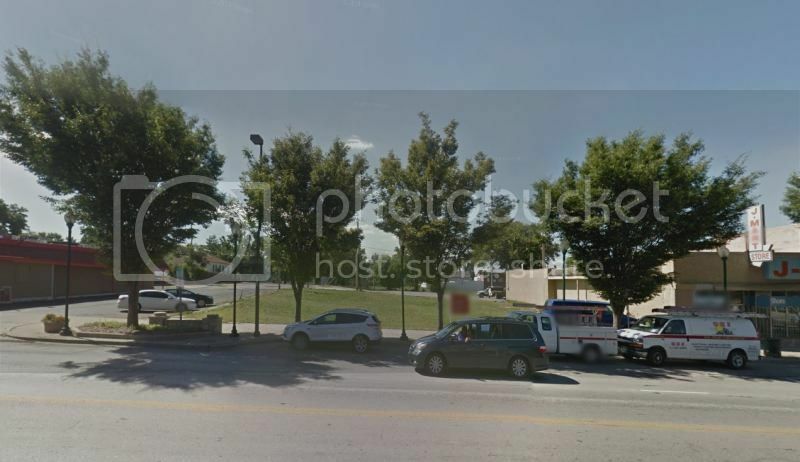 Site of the former Rockhill Theater today. Last edited by FangKC on Thu Nov 27, 2014 4:05 pm, edited 1 time in total. 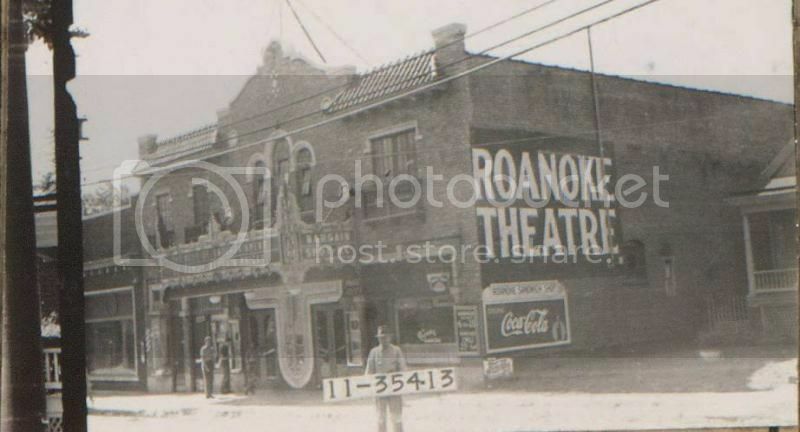 The Roanoke Theater was located at 3824 Summit Street near W. 39th Street. 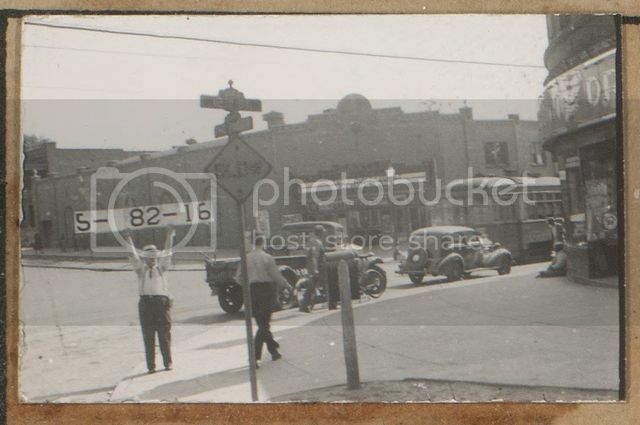 This image comes from the 1940 Jackson County tax assessment photos. I see that Google puts "Troost" in Cyrillic for you, too. 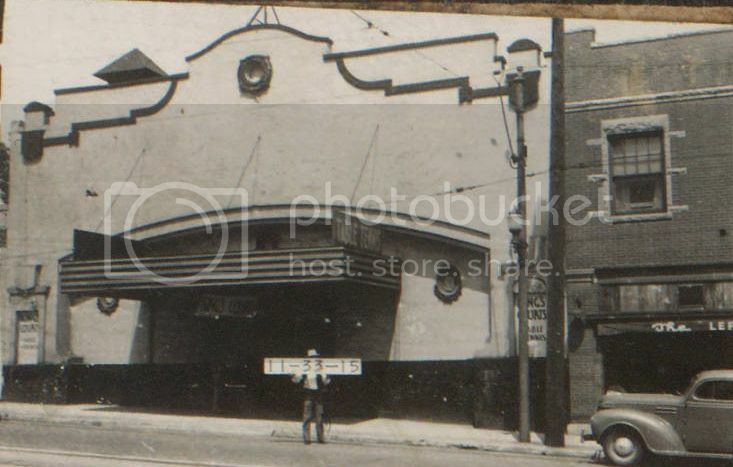 The Vista Theater at 2617 Independence Avenue (near Prospect) opened in 1925 as the El Rey Theater, and became the Vista Theater in 1932. 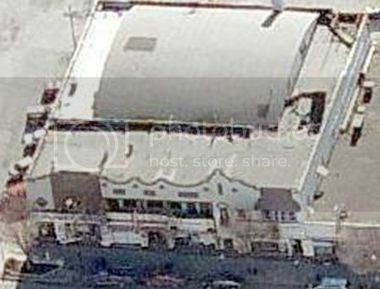 The theater closed in 1963, and went into retail use until the building was demolished by fire on May 12, 2011. 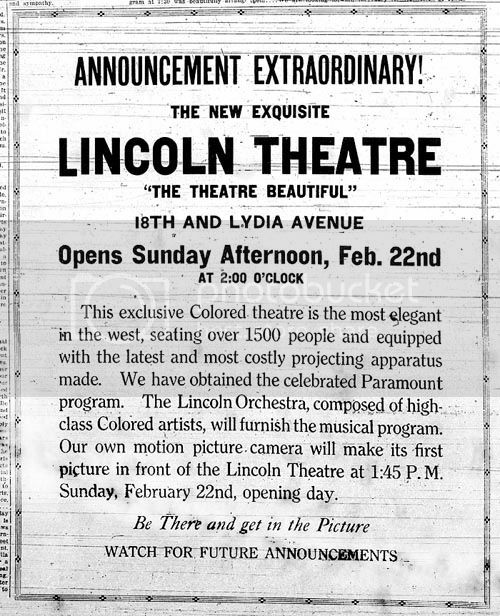 The Lincoln Theater was located at 1332 East 18th Street (on the NW corner) at Lydia. 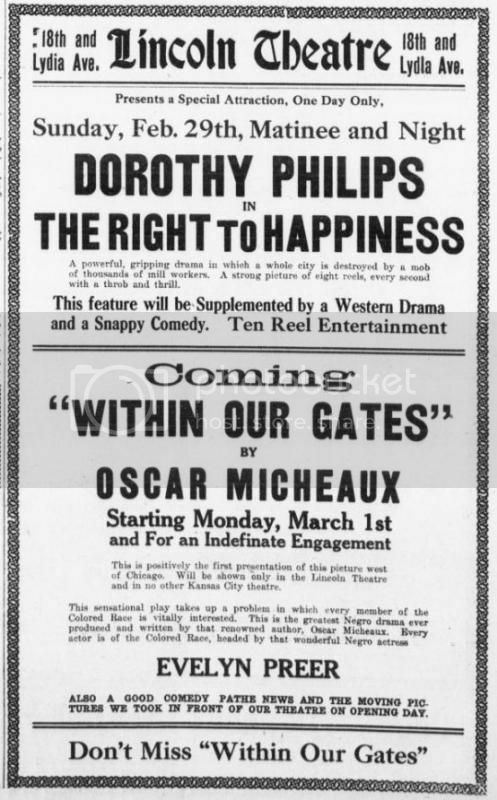 It opened in 1922 and seated 1,350. The theater went through a major remodel in 1936 with a streamline moderne design. The theater closed in 1953. The Lincoln Theater after remodel. Last edited by FangKC on Wed Jan 07, 2015 1:41 am, edited 2 times in total. 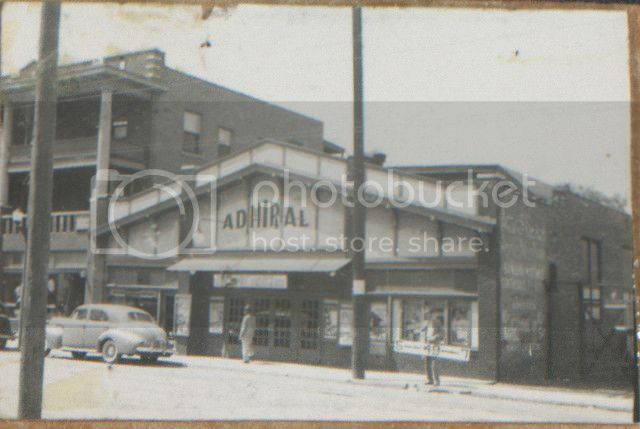 The Admiral Theater was located at 1312-1314 East 8th Street in the Paseo West neighborhood when it still was primarily residential. It seated 800 and was open still in 1950. The building remains, but has been modified. 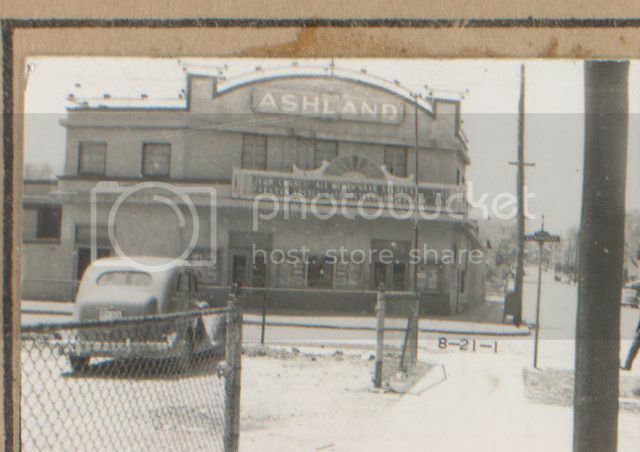 The Ashland Theater was located at 2400 Elmwood Avenue. It opened in 1946 and seated 586. It closed in 1968. 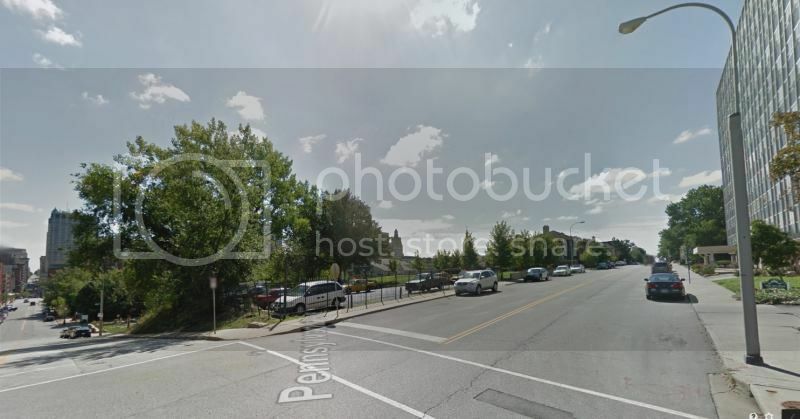 The site of the former Ashland Theater today. 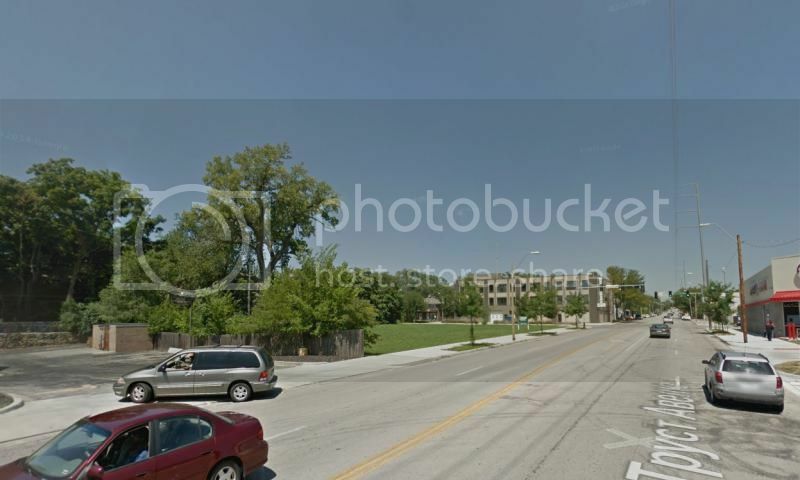 The Bagdad Theater was located at 2711 Troost Avenue. It opened in 1926, and seated 1,200 seats. 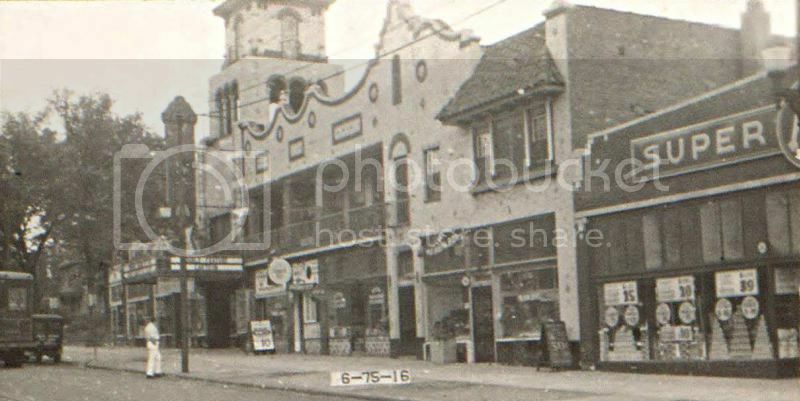 At one time, it was also the Carrol Theater. 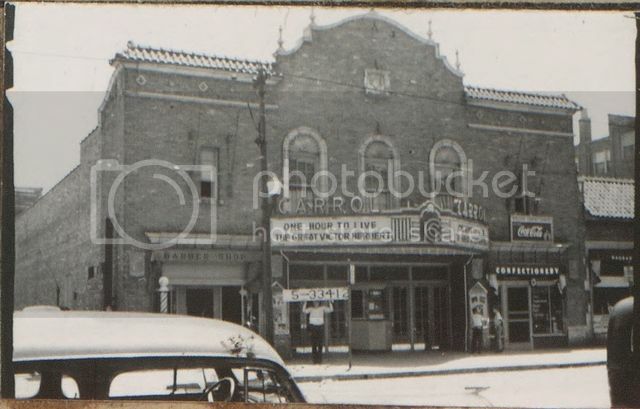 The building was damaged by fire in 1957--three years after the movie theater closed. 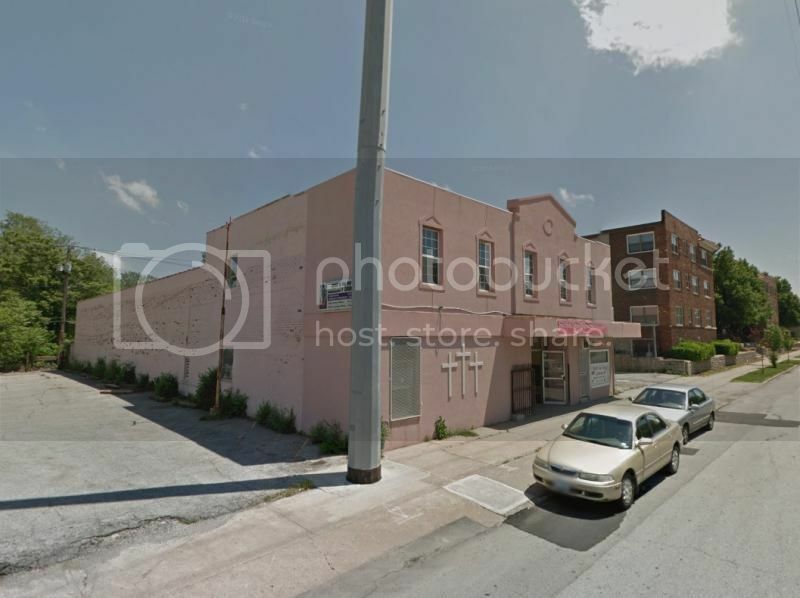 The Castle Theater was located at 1500 East 12th Street (at Paseo). It seated 782. 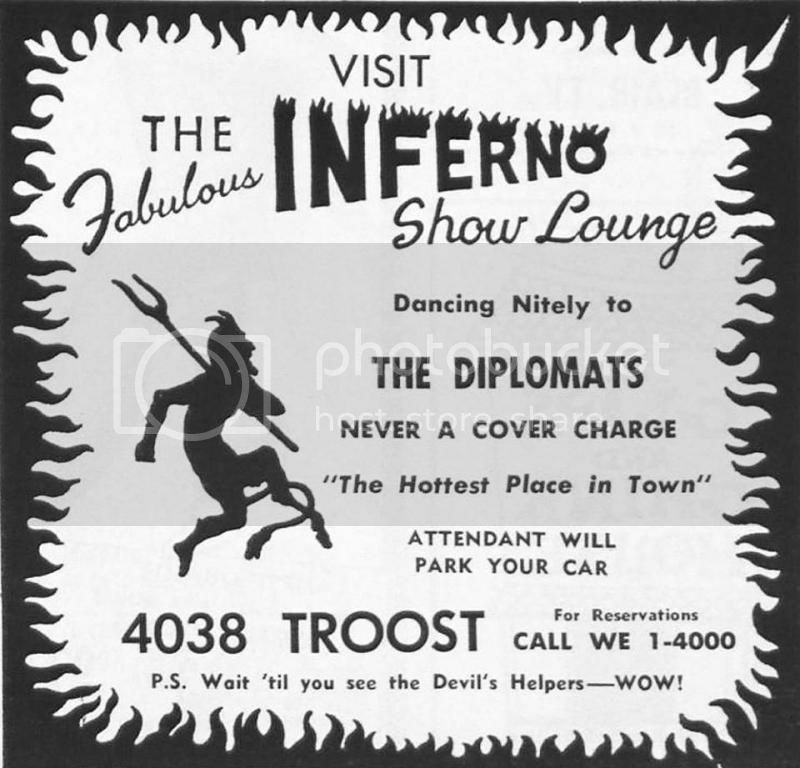 Advertisement for the Inferno Show Lounge that used to be at 4038 Troost. 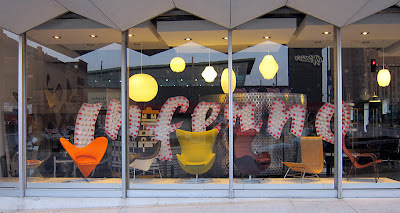 The neon sign for the nightclub is now inside Retro Inferno. The building has been demolished. A description of the Inferno Show Lounge. 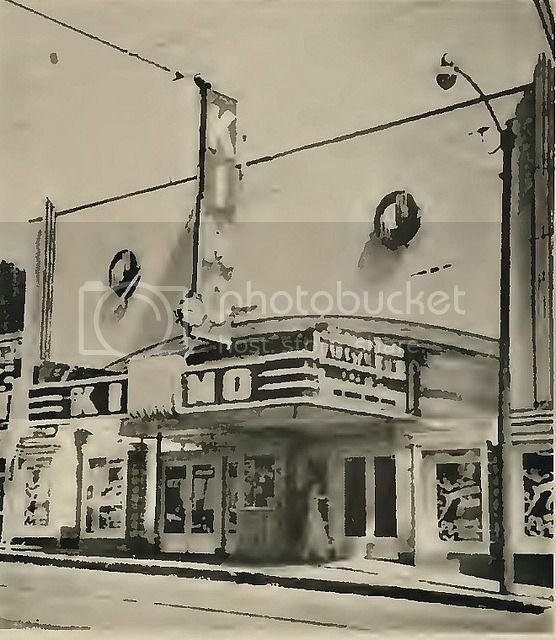 The Kimo Theater was located at 3319 Main Street. 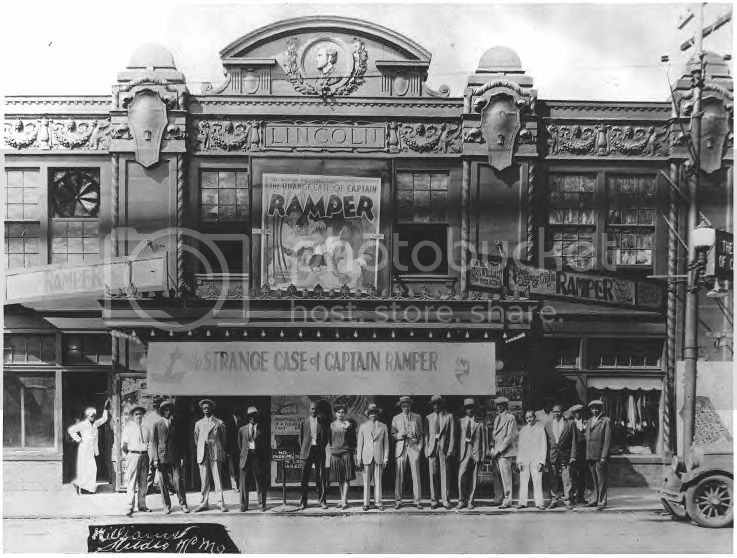 It opened as the Alamo Theater in 1910 with 610 seats. 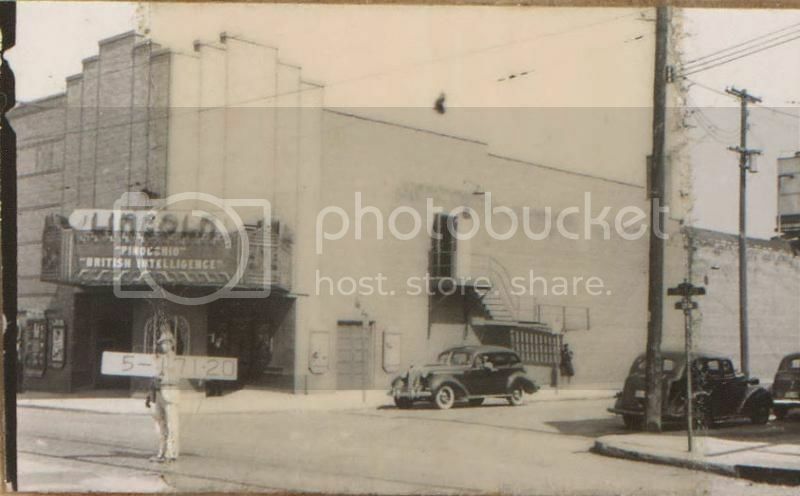 The theater was remodeled in 1943 and the facade changed to an art deco style. The remodeled theater seated 592. The theater closed in 1952, and the building was demolished as part of urban renewal project. The Alamo Theater as it originally appeared. 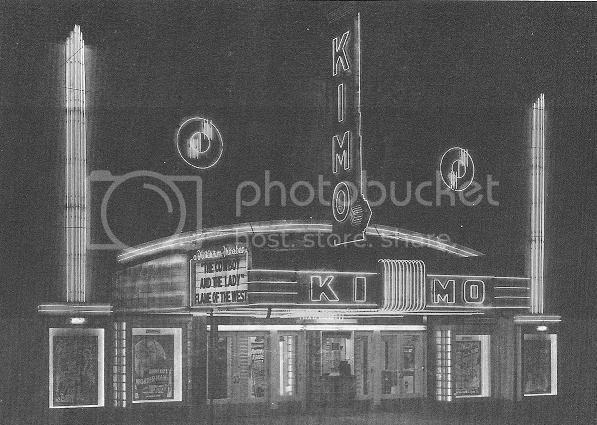 The building after remodel, and renaming to the Kimo Theater. Last edited by pash on Fri Feb 10, 2017 10:18 pm, edited 1 time in total. 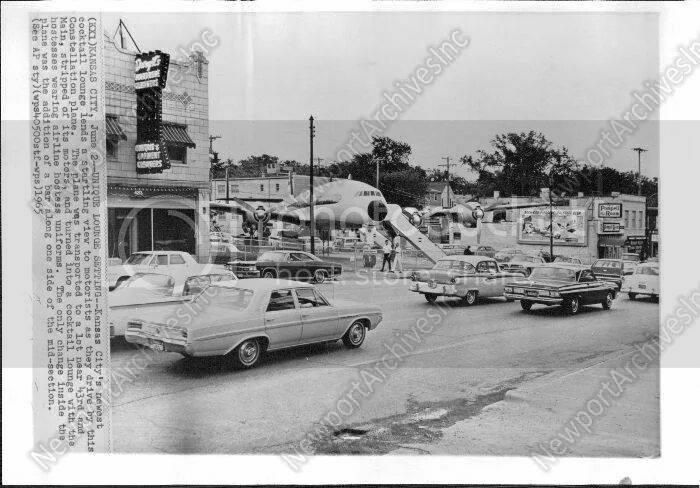 I learned today that there used to be a bar in an old Constellation airplane on the NE side of the intersection of 43rd and Main. 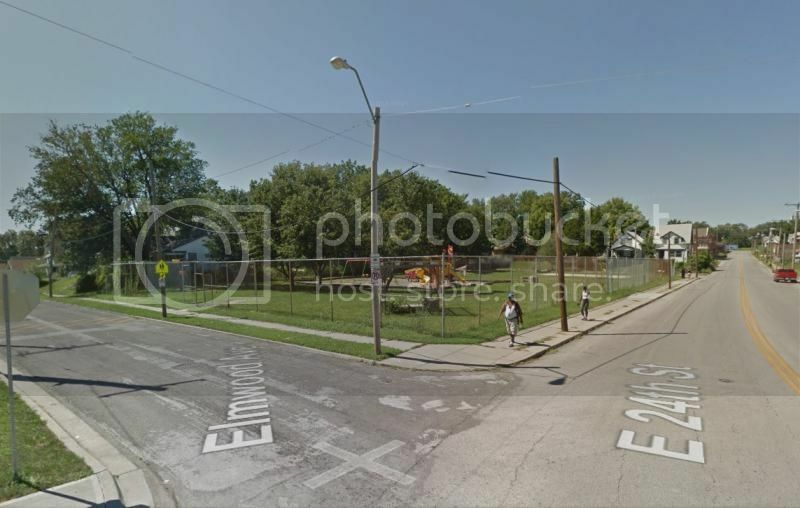 It was where the H&R Block building is now. 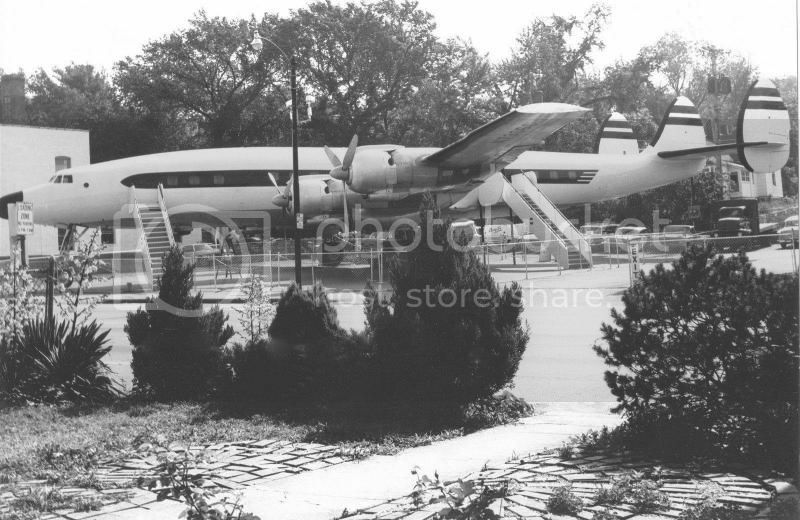 It was called the Flight 42 Cocktail Lounge and it opened in 1965, and reportedly was open for around five years. 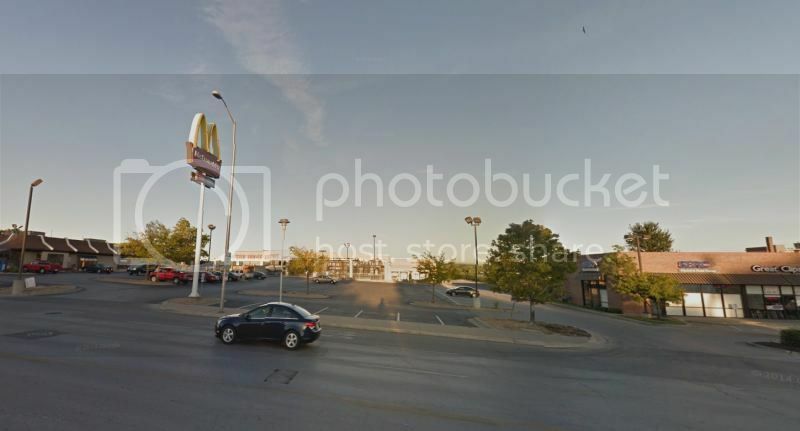 I found images on Facebook on the ‎Things and places we loved in Greater KC when we were much younger! thread. 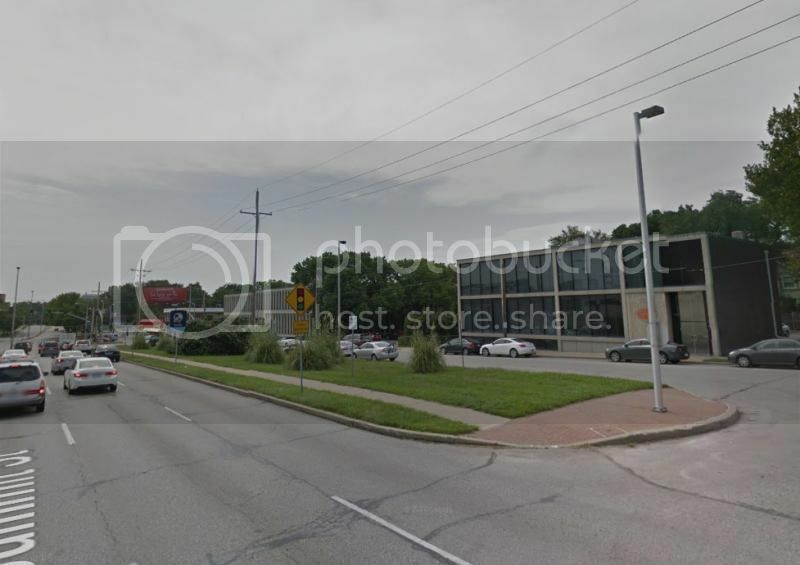 FangKC wrote: I learned today that there used to be a bar in an old Constellation airplane on the NE side of the intersection of 43rd and Main. 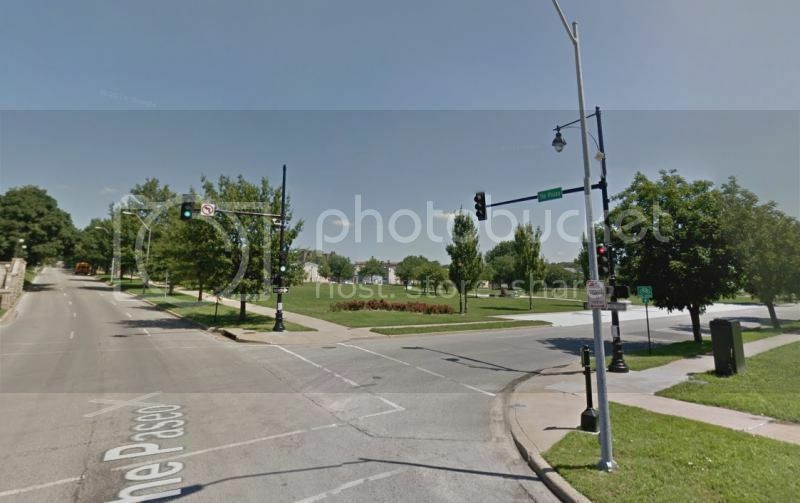 It was where the H&R Block building is now. 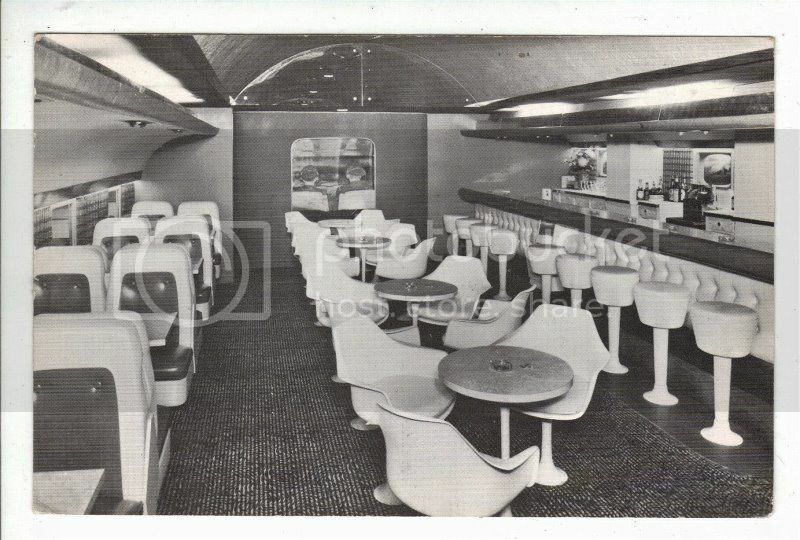 It was called the Flight 42 Cocktail Lounge and it opened in 1965, and reportedly was open for around five years. Neat, i've never seen a picture of the outside before! I found a KC Postcards book at an antique store a few weeks ago and it had the same interior photo in the book. I also picked up an old (I think ~1970) Architecture of Kansas City book that is falling apart. Someday I'll scan it, some very neat stuff in it. 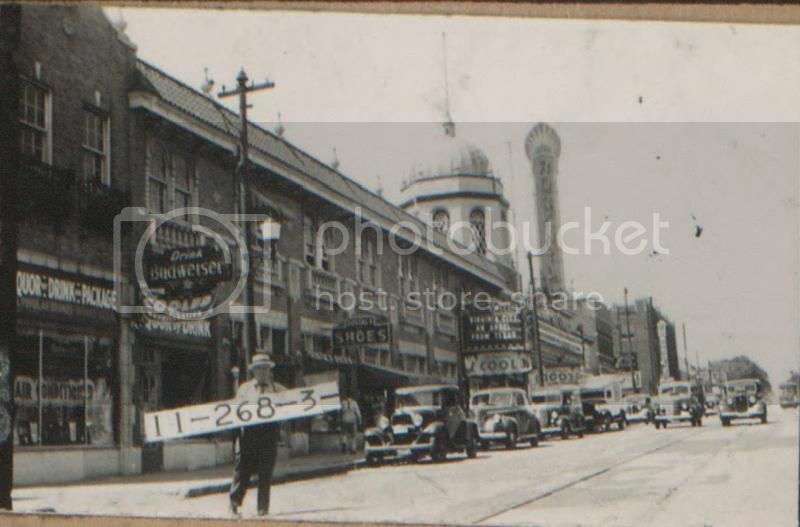 It has a photo of the old Macys that was at 10th and Main, I'd never seen a photo of it before! Directly on the corner, visible in the photo was Mel's Pompeii Room. I think it was bombed in a mob war. TV ads for it: "the glory of Rome." Another photo from a different angle.